The nose is a vital part of the human body. Though its main function is to help us breathe, it also allows us to smell and helps us to taste as well. 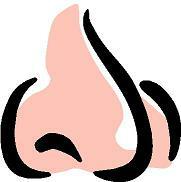 Just think about when you suffer from nose problems including allergies, stuffy and common colds. It feels as though it doesn’t function too well, right? Like any other parts of your body, this needs to be taken care of, too. How do you do it? Read on how to take care of it. Avoid blowing or picking it too hard, and putting things such as tissue or handkerchief on your nostrils as these can pose a lot of harm. Sniffing substances that might cause damage to your nasal cavity should be stopped, too. Stop putting piercing into it because it might cause infection. Use nasal sprays only as recommended. Keep away from overusing them as they can worsen the situation and cause damage. Inhale warm steam atleast two to four times daily to moisten it and prevent dryness. This can be done by boiling water with eucalyptus oil and breathing in the steam once it boils. You can also use a vaporizer or humidifier in your room. Avoid exposure to certain allergens such as animal dander, pollens, mites, cigarette smoke, etc that can lead you to suffer from problems. 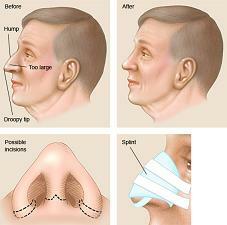 Those are some of the tips on how to take care of your nose. Finally, always consult your doctor whenever you suffer from allergies and problems with your sinuses so that you’ll be given medication prescription to avoid infection and other problems.